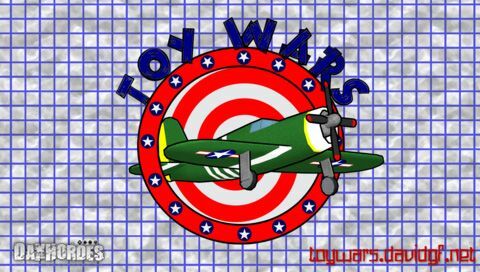 Toy Wars is a game inspired in the SEGA Dreamcast game Toy Commander. 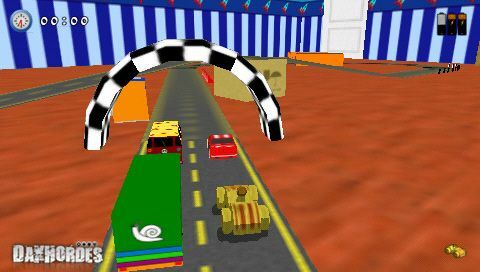 The game is about some toys which fight for the control of the house. It takes place in various rooms. Custom ME engine processing which includes ogg vorbis decoding and streaming and custom mixing. Easy scripting language for fast level creation and design. Internet connectivity (currently disabled) to sync profile and save records online. Easy installation (everything in one EBOOT.PBP) with compression. I've been reported that PSP FATs doesn't show the menus properly, but allow to start the game (although you don't see what you select). This may be due to low memory of the PSP FAT. I'm trying to fix this, but it's difficult to fix. Hope you understand. Hope you like it! If you consider necessary I can release a Linux/Win binary so you can test it more easily. Can I change the download link if I found a bug until 20th? Thanks! Can I change the download link if I found a bug until 20th? Congratulation for being the first game to be post on the contest. this looks a fantastic advert for homebrew on the PSP, excellent work. best thing in neoflash coding contest,i think you'll win that..
You refer to ODE src for PSP? 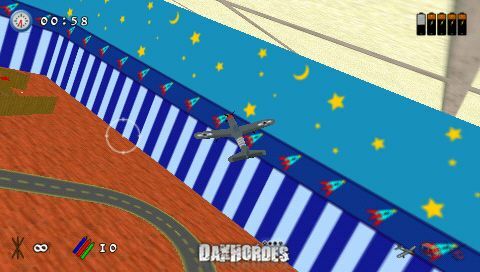 To be released soon at davidgf.net, I'm just waiting to participate in some contest before releasing it. The game source code will be released a bit later, just in case anyone wants to copy... but you can use ODE without problem (just a little slow) as seen on some games, the xmoto port for instance. BTW did you mail me for the makefile?